Mali is a country known for its rich cultural and ecological diversity but more recently has suffered economically due to regional instability and its landlocked position in West Africa. Nearly three-quarters of the population live in rural areas, with poor access to basic and essential health services. Despite an increase in access to care in the health sector in recent years and some improvement in health indicators, overall health indicators remain poor, especially for maternal and child health, and reproductive health. An economic context regularly shaken by external shocks (climate, socio-political, oil and commodity price fluctuations) has not helped. 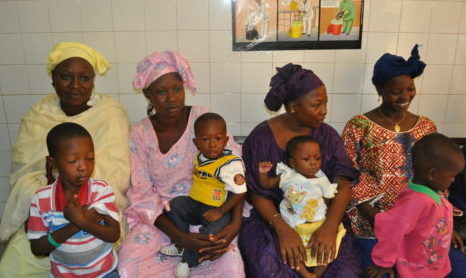 Mali has committed to achieving Universal Health Coverage (UHC) for all its citizens and has developed various policies, strategies, and plans to achieve this goal, including the 2014-23 Health and Social Development Plan (PDDSS), the 2014-18 Health and Social Development Program (PRODESS), and the 2014-23 National Health Financing Policy. The HFG Project is working with the Ministry of Health and Public Hygiene (MHPH) to empower the government to achieve its goal of UHC. The overall objective of HFG’s work in Mali is to equip the MHPH with the organizational and technical capacity to design and implement reforms that will help the fragile health system with tools and information to work towards UHC. Activities include a Health Systems Assessment (HSA), a management assessment of the Secretary General (SEGAL)’s office, with additional activities added in 2016. 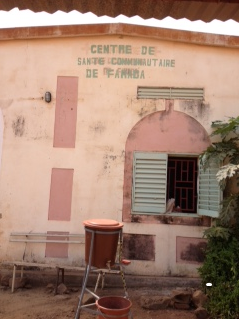 HFG works with USAID Mali to support health systems strengthening and management in the country. In 2015, an HFG team conducted an HSA and management assessment of the SEGAL’s office – in the midst of substantial reforms in the context of governance, with decentralization and fiscal management reforms. Findings from both assessments fed into the MHPH’s National Health Strategy update. The HSA provides a comprehensive assessment of key system functions organized around six technical modules: governance, financing, service delivery, human resources, pharmaceutical management, and health information systems. The assessment identified major strengths and weaknesses and general recommendations on potential activity areas for health system strengthening were provided in the final report. The Management Assessment was aimed at providing recommendations to improve the efficiency and effectiveness of the SEGAL’s office, which oversees the planning, organization, coordination, and control of the MHPH but lacks the staff to handle the significant workload. In July 2016, the findings of the HSA were discussed with stakeholders at national and sub-regional public health authorities, civil societies, for-profit private health actors and orders, and technical and financial partners at workshops in Bamako and Koulikoro. HSA recommendations and the way forward were consolidated into a roadmap through a consultative process between the MHPH and HFG-Mali. MHPH and technical and financial partners are already planning the implementation of the recommendations. HFG will provide technical assistance on the activities that focus on health financing and governance.